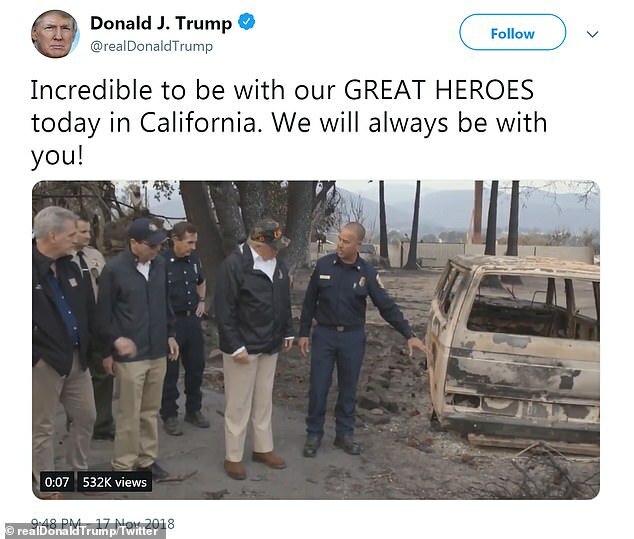 Trump made the remark about the fires that have left at least 79 people dead and more than 1,200 others missing, as he surveyed still smoldering remains in Northern California Saturday. 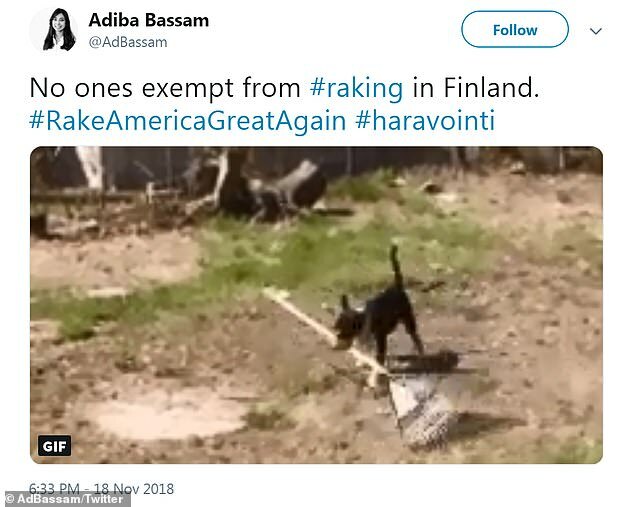 The president said they engage in 'raking and cleaning things and they don't have any problem'. 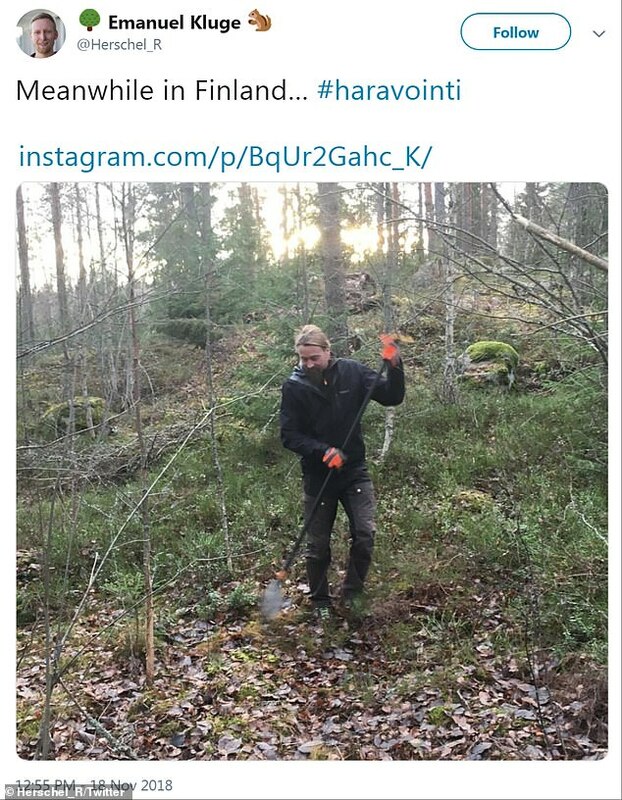 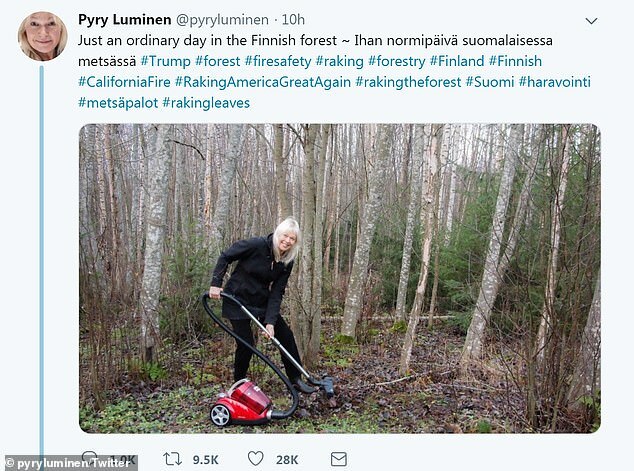 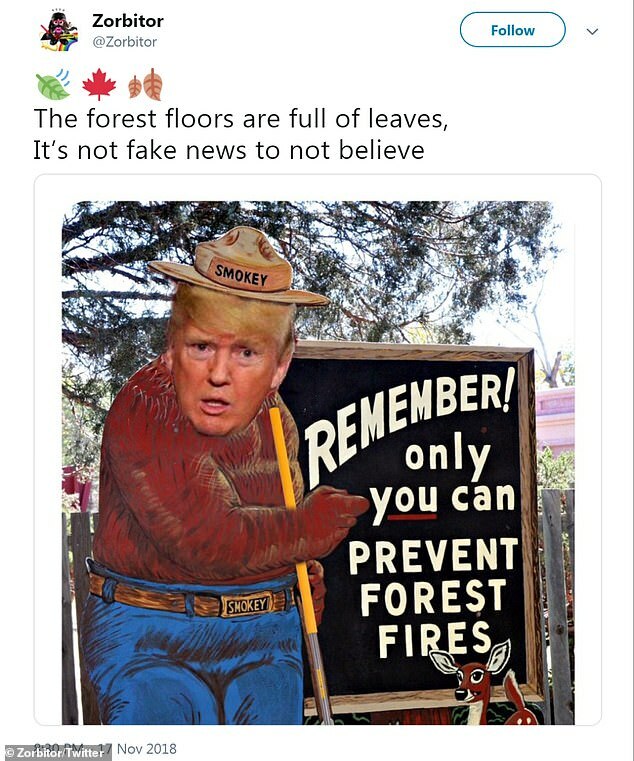 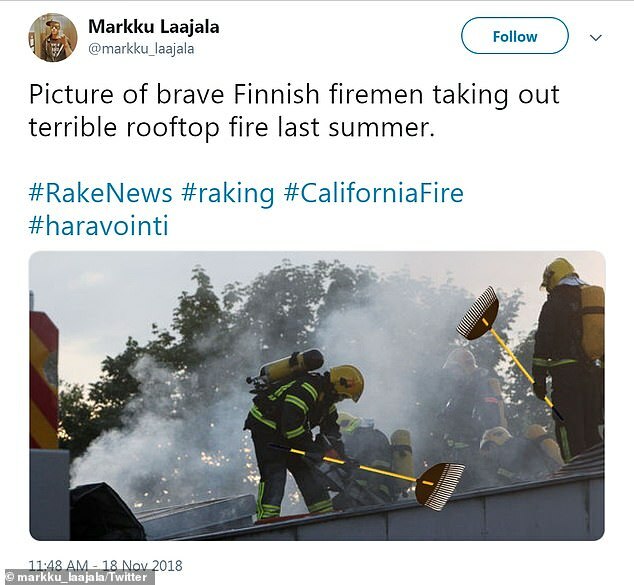 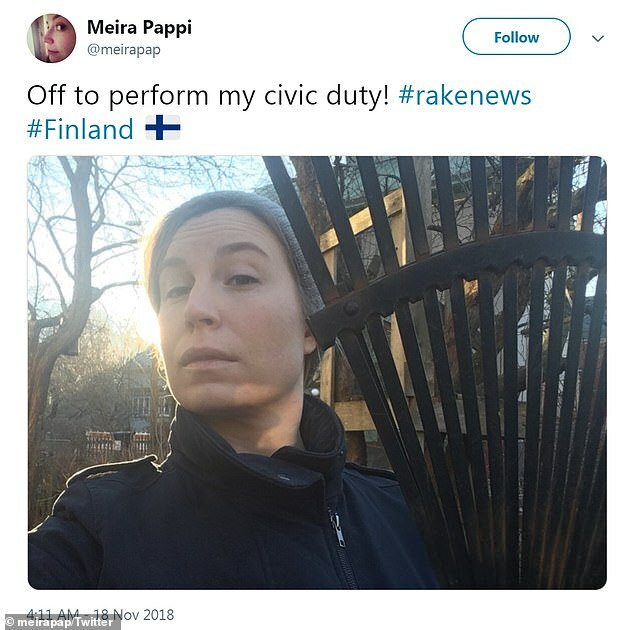 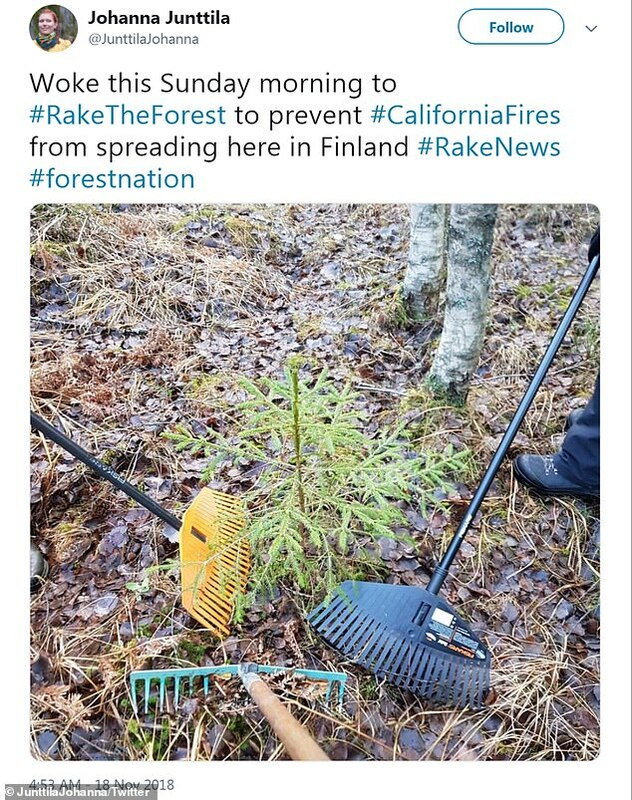 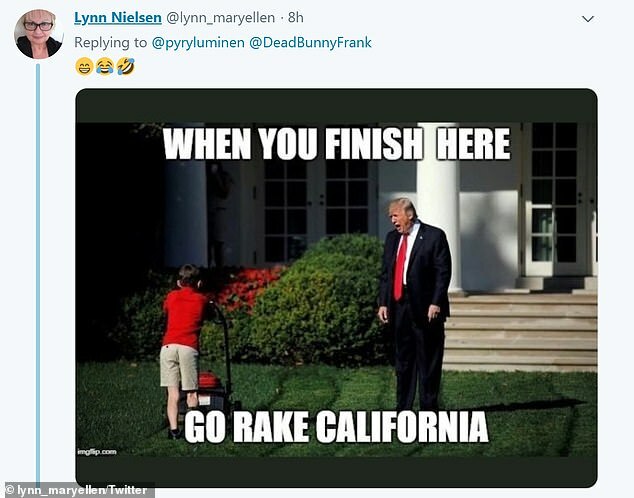 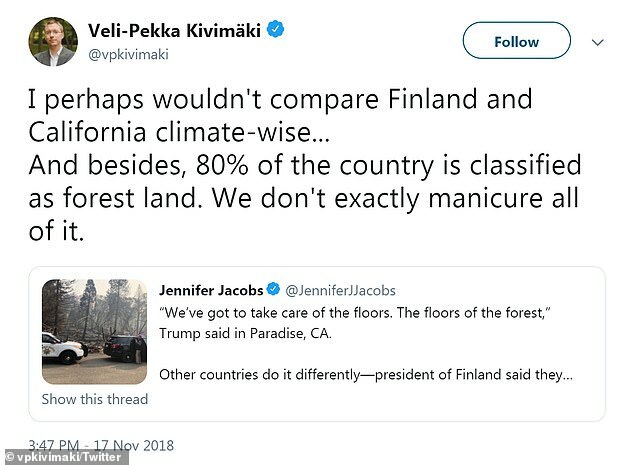 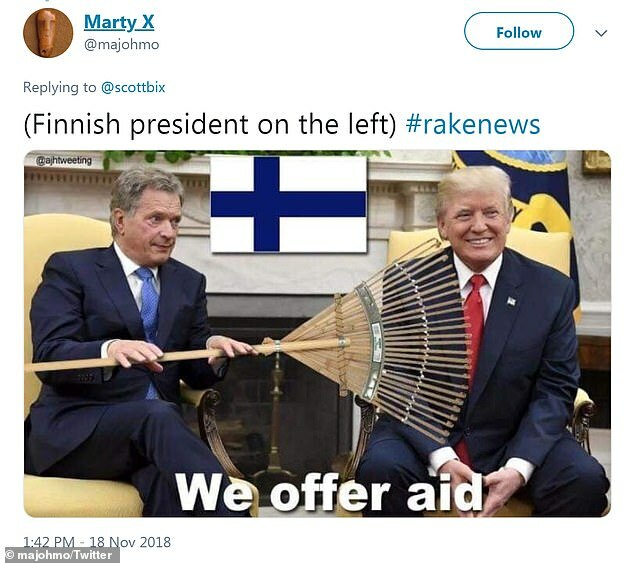 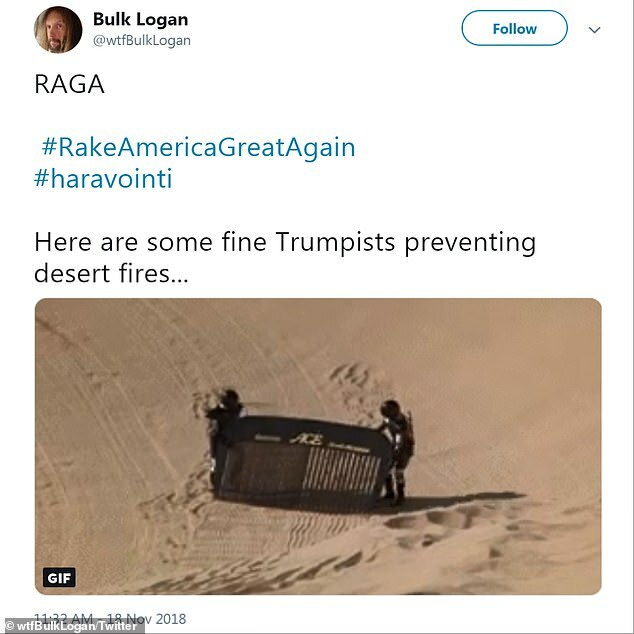 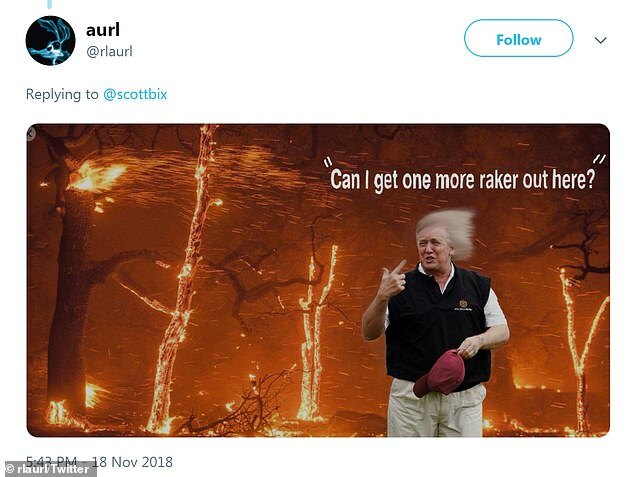 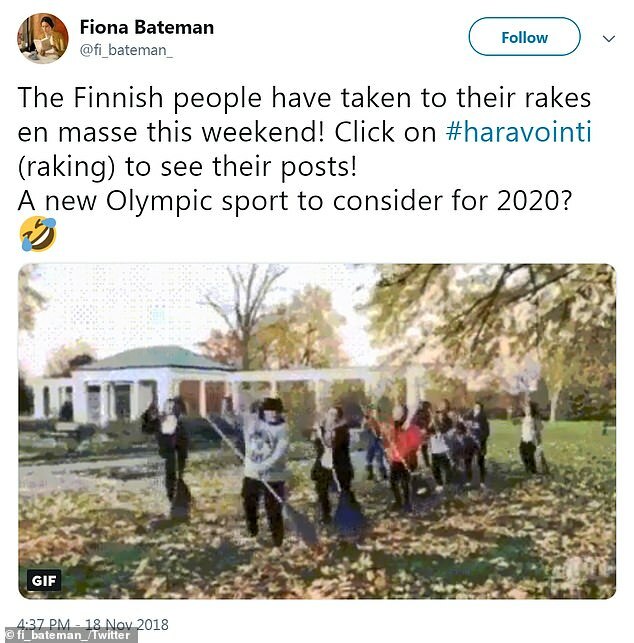 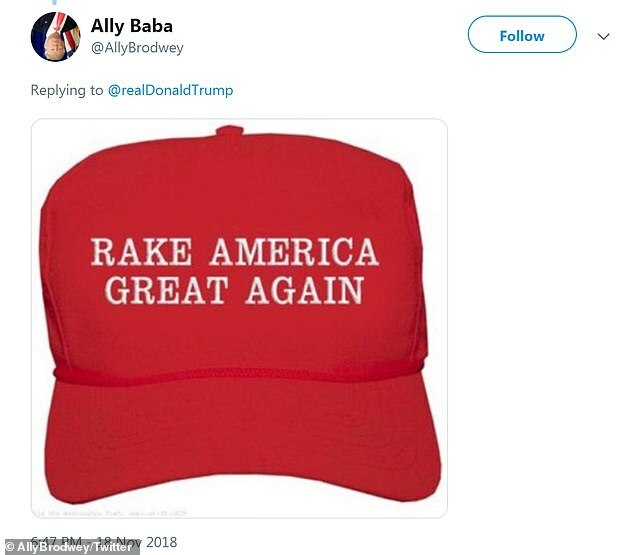 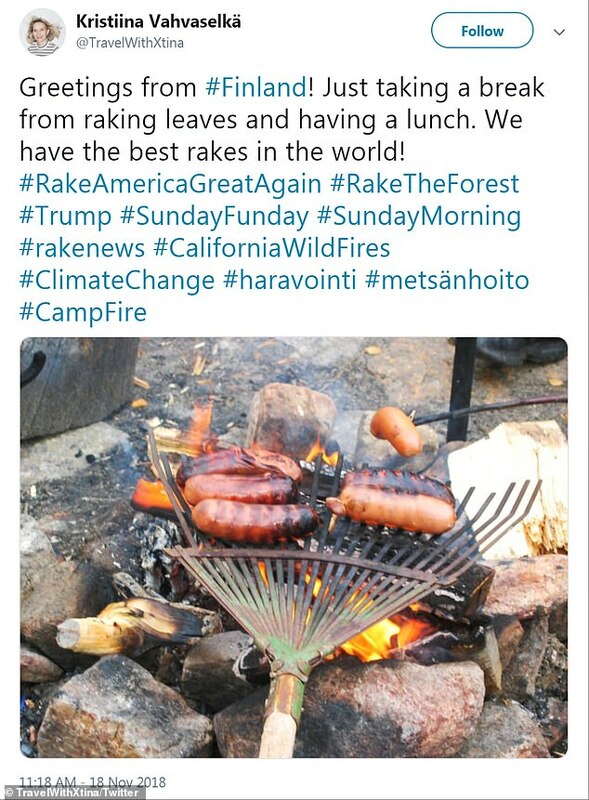 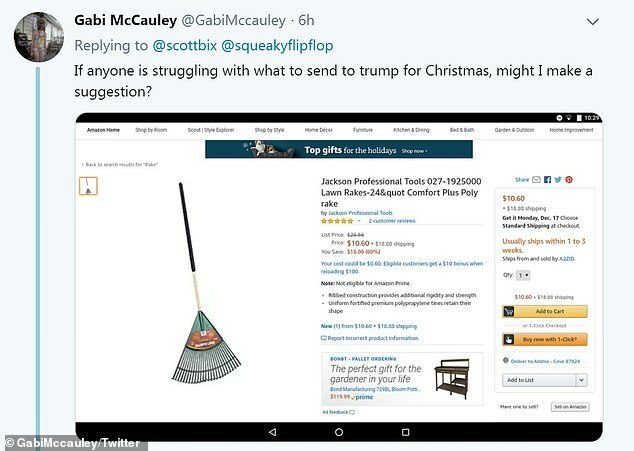 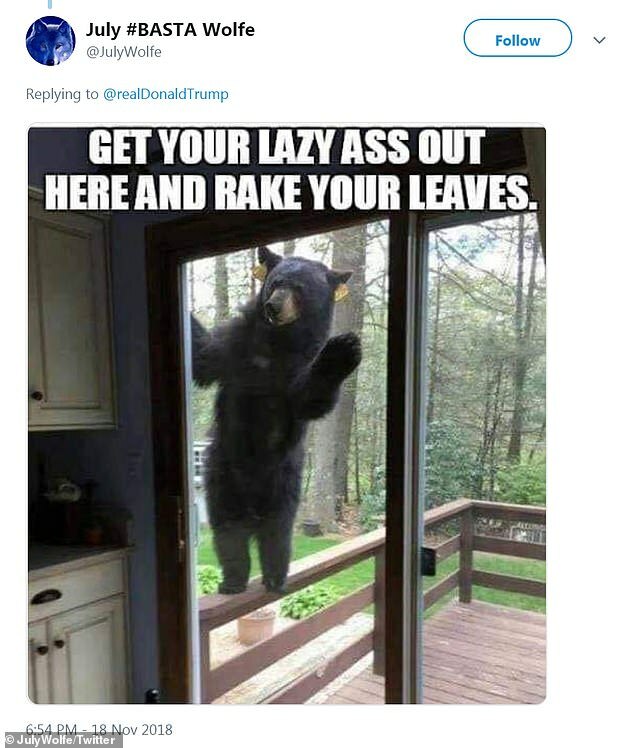 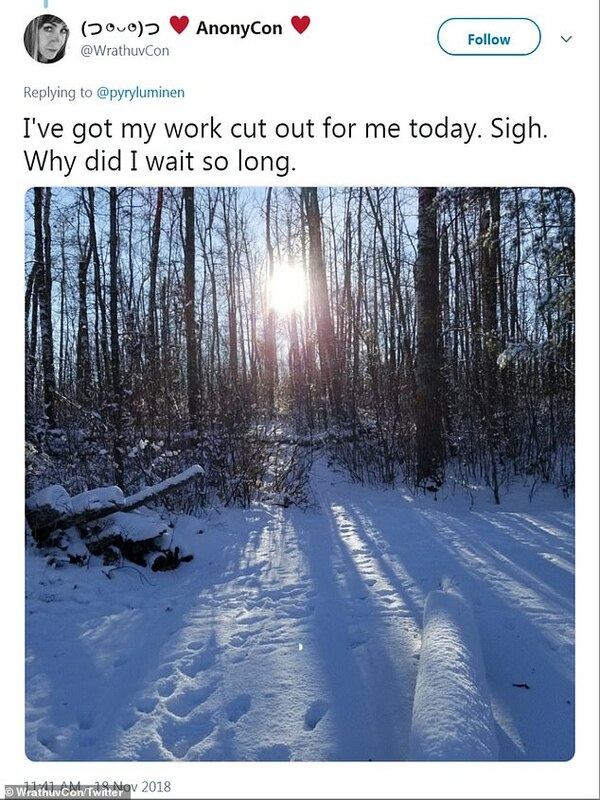 But Twitter users, especially in Finland, were quick to disabuse him of the idea they spent their free time raking national forests in a flurry of memes under the hashtag #RakeNews a twist on his often-used defensive words 'fake news'.